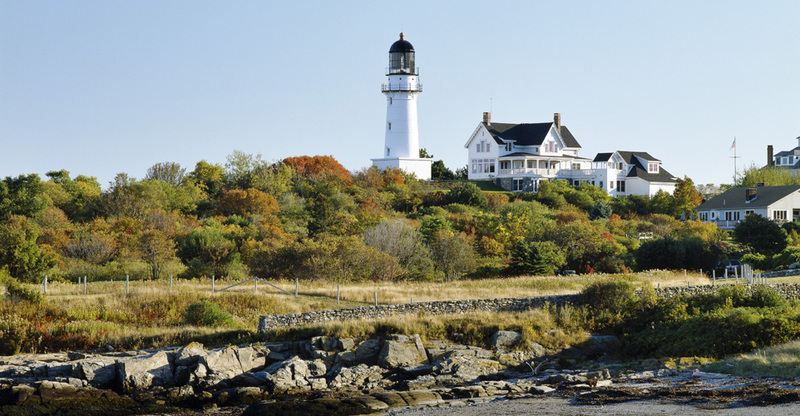 The Lightkeeper’s House at Two Lights, famously depicted by American painter Edward Hopper, is an icon of Maine’s maritime legacy. Our challenge was to nearly double its size, to make this humble shelter, insensitively renovated over the years, into a home befitting a sea captain. Respecting the building’s history, we left its public face essentially intact; expansion was placed on the least visible portion of the site, or below grade. All trim was milled to match original profiles. The new screened porch sits atop battered stone walls, which anchor the building to its wind-swept hilltop. Once more, this house looks proudly to the sea.